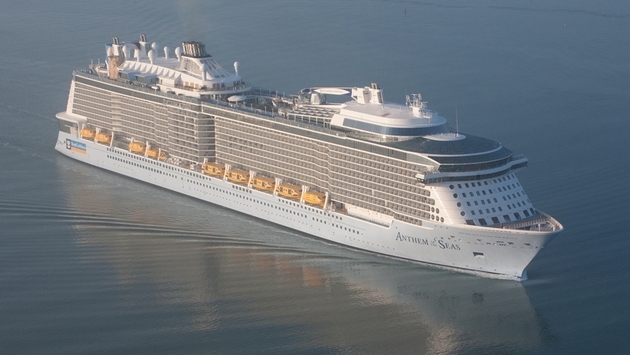 Royal Caribbean’s Anthem of the Seas launched in 2015 is one of the largest ships in the world at over 167,000 tons. She carries over 4100 passengers. Best known for its strong presence in the Caribbean, RCI also operates popular itineraries in Alaska, Europe and the Mexican Riviera. RCI can also be found in Hawaii and South America. RCI’s handsome, modern megaships offer spacious and impressive public areas such as a multi-deck atrium with glass elevators and the company’s hallmark Viking Crown Lounge – a glass-wrapped observation lounge located on the highest deck to provide passengers with a panoramic view of the passing scenery. This is the cruise line which has introduced onboard activities not normally associated with a cruise such as rock climbing (with a wall constructed on the back of the funnel) and ice skating. Family suites, a spacious playroom and teen center make these ships ideal for passengers with children – in fact RCI may deserve highest marks in this department with excellent children’s facilities and dedicated staff on almost all ships.